Most managers would prefer to never have to discipline their employees. But people are people, with their own agendas, issues and challenges. Because of this, situations can arise that require managers to confront and correct ineffective, inattentive and insubordinate employees. 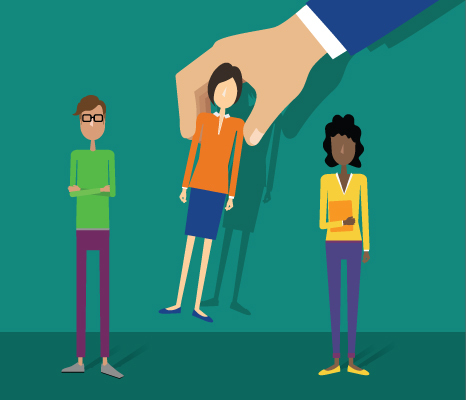 Below are five steps to properly handle the sticky matter of employee discipline – without the heated confrontations, hurt feelings or even threat of lawsuits. Is the issue a lack of competence or expertise? Or is behavior a concern? The former suggests an inability to meet the goals or standards of a job position. The latter refers to less than professional conduct, such as frequent tardiness, dishonesty or insubordination. Keep in mind that you must be able to document exactly how the employee is falling below expectations, including specific examples, before you approach him or her. Line managers should also consult with their own manager and/or HR professional before taking any action. To steer clear of personal and workplace liability, you must be absolutely certain you are not reprimanding the employee for something that is permitted by law or company policy. If, for example, your employee has been taking too much time off from work, make sure he or she is not entitled to FMLA coverage or any other accommodations. If the employee is eligible, learn what you need to do to comply and then follow through. To repeat, you must document everything regarding employee performance and conduct concerns. Under most laws, if the issue isn’t captured in writing, it didn’t happen. You should also record any other relevant details from the meeting for reference. Progressive discipline is a technique rooted in the belief that “problems” are a learning opportunity. Each step in the process encourages change, accompanied by increasing consequences for failure. These steps may include verbal counseling (which should be documented in the employee’s file with dates and details), an initial written warning, a second written warning, and finally, if no improvement has been made and consequences have been stated, termination. Keep in mind that progressive discipline is not sufficient in every situation, and company policy should allow management to address serious disciplinary matters in other, more immediate, ways. In certain cases, a situation may be so severe and/or dangerous than you can end the work relationship immediately. A few zero-tolerance scenarios where on-the-spot firing is warranted are: threats or acts of violence, failure to follow safety measures, per training; and vulgar outbursts with religion, racial, ethnic or gender-based slurs. There are additional steps you’ll need to take to handle a firing properly (and in these instances, safely). 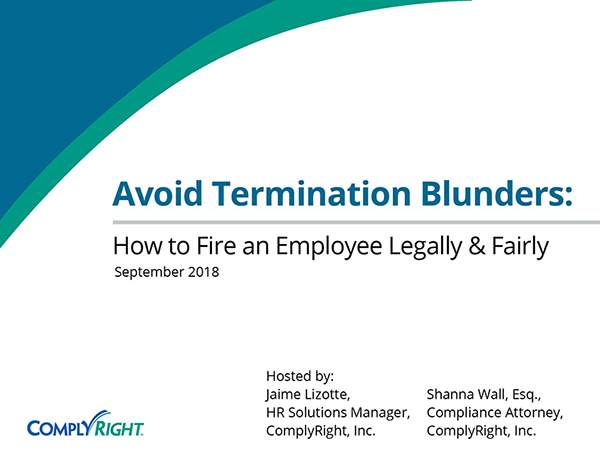 Check out the free e-guide, How to Fire an Employee Legally and Fairly for expert direction on this sensitive subject. The Progressive Discipline Smart App from HRdirect helps you document and address employee issues promptly and appropriately. It allows you to gather key details for constructive conversations with employees, as well as create a history of repeat offenses. Following the steps in this article — and using an online tool like the Progressive Discipline app — ensures consistency, proper documentation and, most important, protection from potential legal disputes.